can craft it out. Individual guidance will be given to all the kids during craft learning. 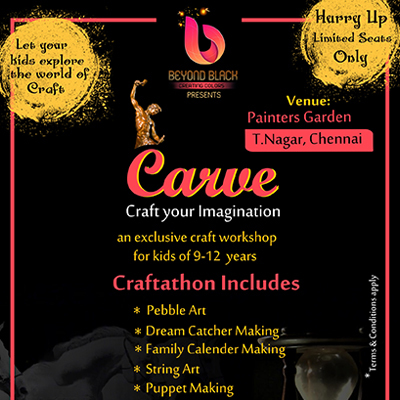 All the craft form will be handled by experts and all the materialsfor the craft workshop will be provided to the kids.